The Hershey Show may be over, but the incentives continue on many of our fifth wheels, travel trailers, toy haulers, and Class C motorhomes. Everything from the Sundance travel trailers and fifth wheels to the Heartland Bighorn to the Heartland Landmark fifth wheel are marked at easy to afford prices. Heartland is known for putting innovative storage areas to help keep every inch of your camper organized and to allow you to bring everything along that you could possibly need. With payments as low as $170 to $522 a month, owning a high quality, new RV has never been so easy. Get incredible deals on many of our Heartland travel trailers, fifth wheels, and toy haulers! 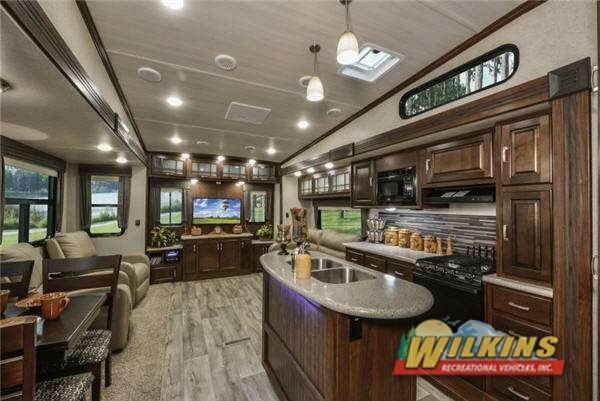 We also have savings on the 2017 Forest River Sunseeker Class C motorhome. These motorhomes are full of modern décor and amenities to make you feel right at home no matter where you are. With seven foot high ceilings and the option of having slideouts, the interior will give you more than enough room for everyone in your family to rest and relax for short, weekend trips or to stay somewhere for weeks at a time. With special financing offering payments as low as $368 per month, you can definitely afford to drive home in one of these vehicles and start RVing the right way. Find the Forest River Sunseeker Class C Motorhome at an incredible price! Be sure to contact us or stop by our location to find out about all of the deals that offer on all of our new and used RVs. Hurry up, or you may miss your chance at these amazing prices!